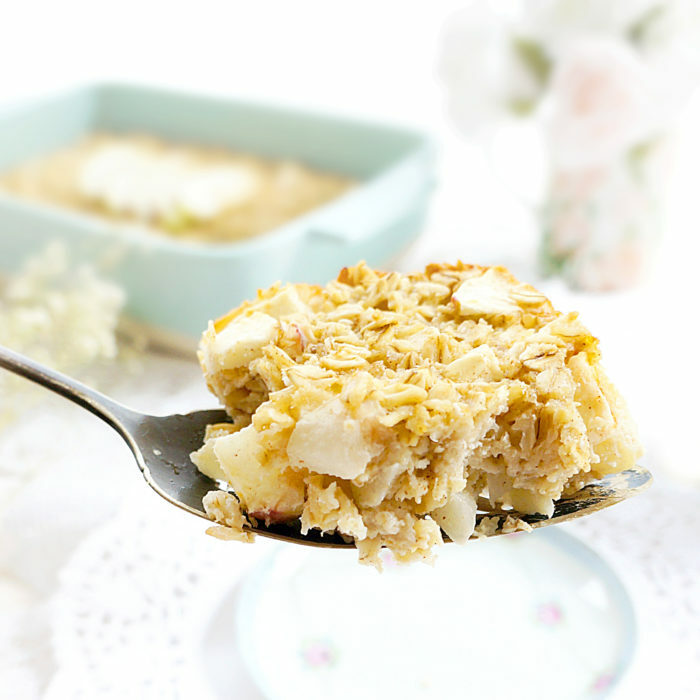 This baked oatmeal tastes like apple cake, but is packed full of nutrients! The perfect make-ahead breakfast for those busy mornings! 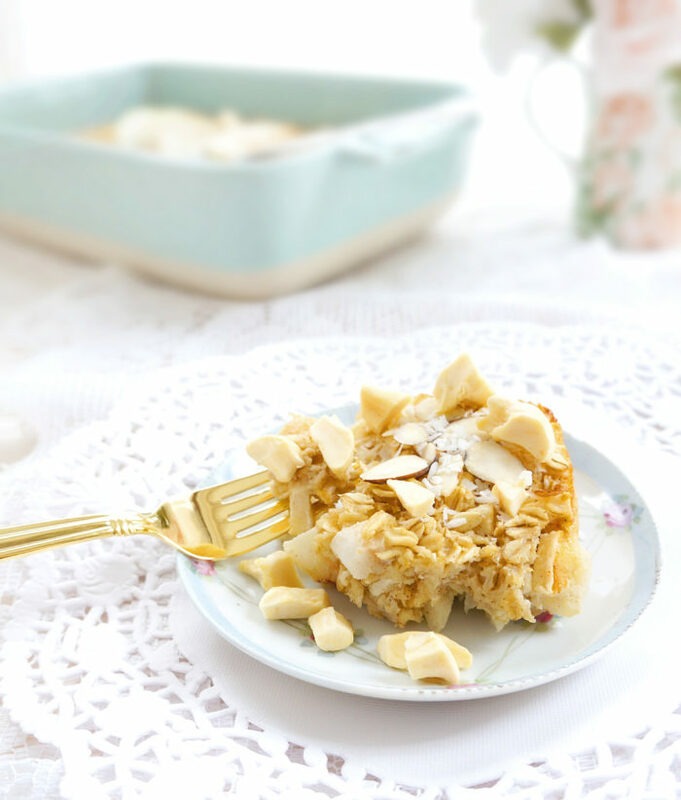 Mother’s Day is just around the corner, so I thought it would be the perfect opportunity to share this delicious Baked Apple Oatmeal. 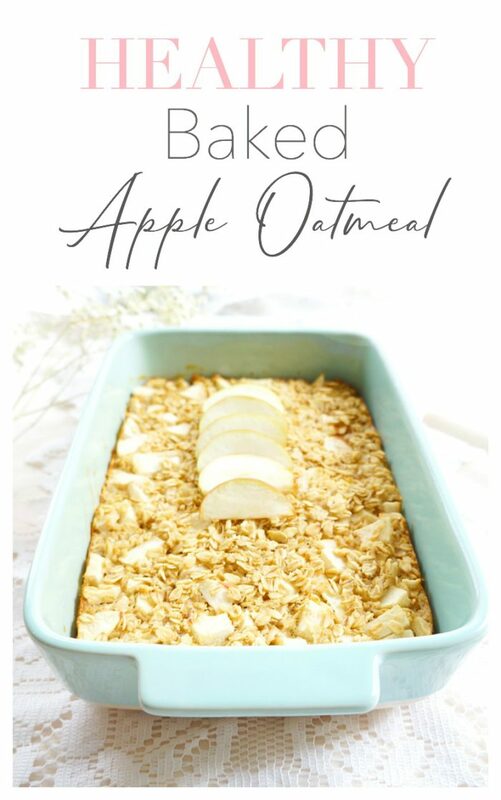 If you’re not generally a fan of the texture a bowl of oatmeal, then you definitely have to try baked oatmeal. This stuff is basically like apple cake. And who doesn’t want cake for breakfast?? If you checked out my posts for my chocolate peanut butter and pina colada overnight oats, you probably already know that oats are one of my favourite foods of all times because they’re packed full of soluble fibre which is great for managing cholesterol and blood sugar levels. The addition of apples in this dish further increases the fibre content, plus adds a dose of potassium and vitamin C.
I also love the fact that there’s Greek yogurt in this dish, which not only adds more moisture but also increases the protein and calcium content. I know that not everyone loves the taste of Greek yogurt, but believe me, you can’t even taste it. 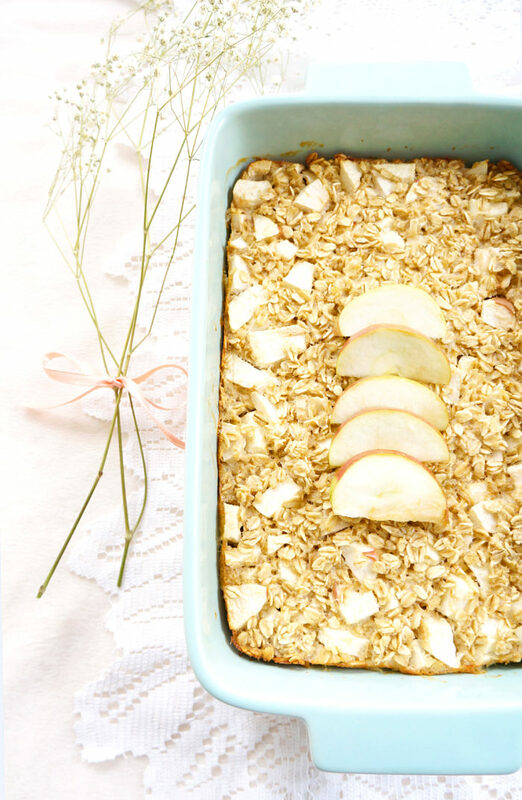 For one serving of baked oatmeal, there’s 10 grams of protein, which can help to enhance that feeling of fullness. 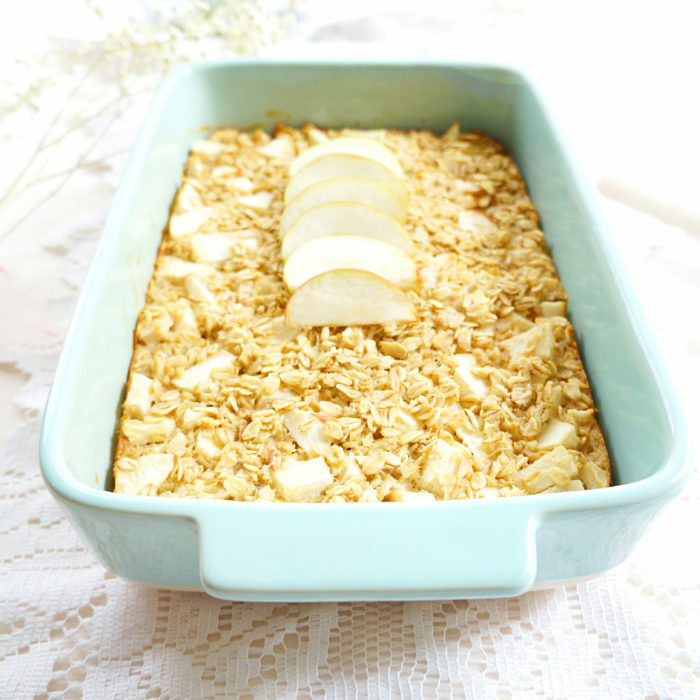 My favourite part about this baked oatmeal is that you can make up a batch and leave it in the fridge for a few days for a quick and easy breakfast on the go. That’s just the kind of breakfast this busy mama needs and it’s perfect for the kiddos too! You can eat it warm or cold, and can even add a splash of milk, dollop of yogurt, or top it with a sprinkle of nuts or coconut. 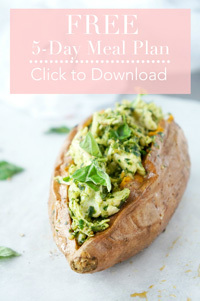 When I served this up to company, even non-oatmeal lovers were raving about how delicious it was! This breakfast is a winner! Preheat oven to 375 degrees F. Grease an 8-inch square glass baking dish. Combine oats, baking powder, cinnamon, and salt in large bowl. Whisk together yogurt, milk, maple syrup, egg and vanilla in another bowl; pour over oat mixture and stir to combine. Add chopped apples and mix until incorporated. Pour mixture into prepared dish and spread out with spatula until evenly distributed. Bake for 35 minutes or until edges are browned and knife inserted in centre comes out clean. Let baked oatmeal stand a few minutes before serving. If you’re looking for fun tips, recipes and recommendations for feeding little ones, come on over and join us in our Healthy Little Munchkins Facebook Group! We’d love to have you there!